Jackson Hauri, left, and Trent Davis were sectional champions and will be wrestling at the State Championships on Friday, Feb. 23. 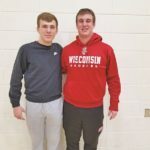 The Brodhead-Juda wrestling program advanced two wrestlers to the WIAA Division 2 Individual State wrestling meet. 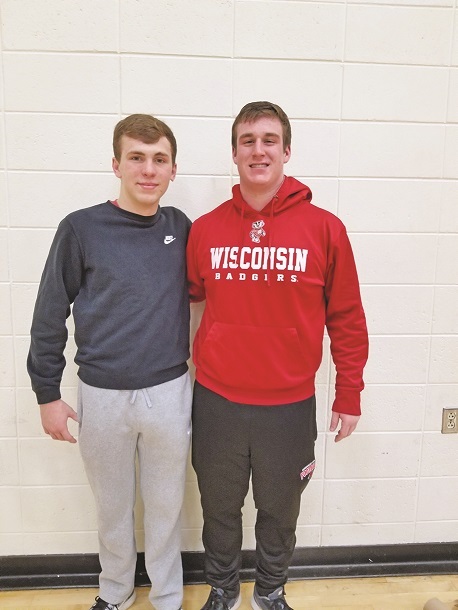 Junior Jackson Hauri and senior Trent Davis each won sectional titles at the Richland Center sectional last Saturday. The Cardinals secured eighth-place with 47 team points, clipping Monroe by three points. In the 113-pound weight class, junior Russell Waeffler went 0-1. Wautoma-Wild Rose’s Dylan Hughes beat Waeffler by decision 7-0 in the quarterfinal matchup. 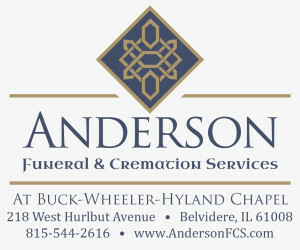 Waeffler’s season record ends at 16-18.